Today while trying to solve an issue with Maven I came across the dependency tree plugin. Pretty cool little plugin that prints the dependency tree of a project. If you are working on a multi module project it prints out a dependency tree for each module. Nice. 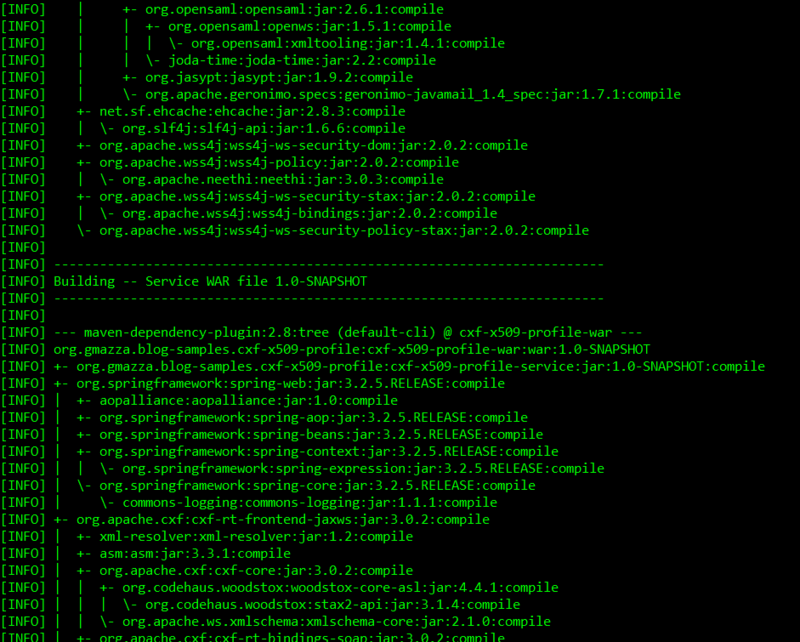 Just type the following command in the Maven project directory you want to see the dependency tree of or the root of the multi module project for all modules.